Cosmetic dentistry from the office of Drs. Aurelia and Khoury DDS can help you improve your smile and give you teeth that you are proud of. If you are in the Rochester Hills, MI area, we offer a wide variety of cosmetic dentistry services at our family friendly dental practice. There are many reasons to smile, but sometimes, people feel that they have to hide their smiles because of imperfections in their teeth. Fortunately, there is a solution. Cosmetic dental services such as teeth whitening or porcelain veneers can address imperfections and restore beauty to the teeth, giving patients the confidence to smile freely again. Advancements in cosmetic dentistry have allowed us to migrate away from materials that contain metal, and instead, use tooth-colored materials such as porcelain or composite resin for results that look and feel natural. At the office off Dr. Aurelia, we use only the highest quality materials to give you amazing results that will last for many years. Smiling can be difficult with imperfect teeth. Porcelain veneers are wafer thin layers of porcelain that are attached to the front of teeth to cover imperfections. Veneers are long lasting and resistant to staining. Our dental crowns are crafted from strong, durable porcelain. These caps cover the entire visible portion of the tooth in order to improve its appearance and prevent it from breaking. Dental crowns can be used on teeth with large fillings, or that are discolored or misshapen. Crowns can also be used in conjunction with dental implants or to anchor a bridge. As we age, there are many factors that can cause our teeth to lose their white luster. Teeth whitening treatments can eliminate stains and restore your shiny, sparkling white look. Teeth whitening is effective at addressing stains due to dark colored foods and beverages and tobacco use. 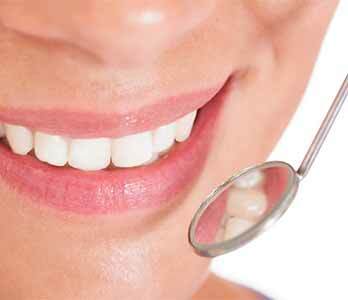 We offer a variety of teeth whitening options. To learn more about the cosmetic dental services we have available at our family dental practice in Rochester Hills, MI, please call us today at (248) 243-6044.